The Axial WLS is a versatile sports tourer for the keen racer. 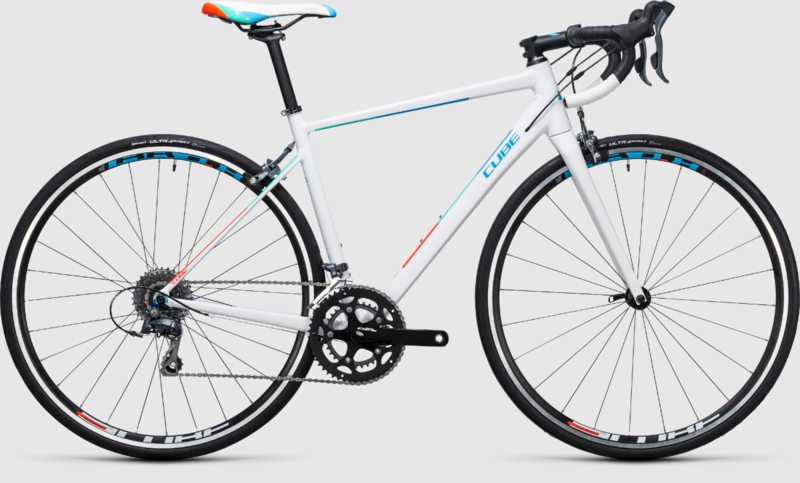 The high quality aluminium frame - with geometry designed especially for women - is equipped with a Shimano Claris 2x8 transmission with a wide ratio of gears, so it's as well prepared for fast rides as it is for long climbs and mountain passes. Features: Ultimate versatility: with a complete Shimano Claris 16 speed transmission and brakeset precise gear changes, reliable braking and long-term durability are the least you can expect. We've chosen a compact double chainset (50/34) and wide-ratio 12-32 tooth cassette to make even the steepest climbs seem less daunting, without sacrificing speed on the flat. CUBE wheels, built in our own factory with Swiss DT spokes and CUBE rims and fitted with Continental Ultra Sport tyres, are another highlight in this price bracket. We've even included a CUBE cockpit setup and WLS saddle to increase rider comfort.